When you consider the popularity of Europe as a travel destination, the opportunity to escape the tourist crowds on Baltic tours is understandable. At the same time, few parts of this continent offer the same variety of unique encounters and authentic experiences as the Baltic States. Located in the south of these states, Lithuania is a former Soviet nation which is home to a sublime mix of medieval cities, stunning coastline, rich culture and luscious natural attractions. In fact, these landmarks and attractions are merely an example of the awe-inspiring travel experience in this enchanting pocket of Europe. From the bohemian neighborhoods and ancient streets to the traditional food, fascinating museums and friendly faces in Vilnius; you will find diversity in the cities but then also solitude outside. That is to say; the urban areas in Lithuania are a colorful encounter, but you will also discover a very contrasting experience once you leave these vibrant cities on Baltic tours. With this in mind, Trakai is a particularly alluring destination where this very authentic town provides a gateway to an enchanting island. Located next to Lake Galvė, Trakai Island features an immense 14th-century castle which is an impressive introduction to the lesser known highlights of Baltic travel. That being said, there are many such highlights in between each destination and the unexpected nature of these attractions is often one of the most enjoyable aspects of Baltic tours. And then there is the coastline of Lithuania, where this beautiful landmass and the Baltic sea collide. When you think of Lithuania, the medieval cities are often the foremost in mind but make no mistake; the coastline is a breathtaking encounter. 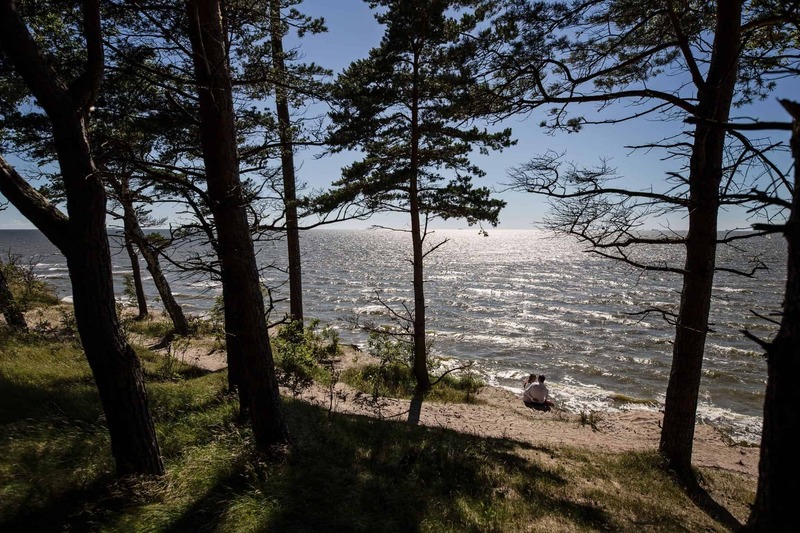 In fact, with several beaches, rugged coastline and empty wetland, forests, and lakes in between, this is often the most memorable part of Baltic tours in Lithuania. Featuring fine silver sands and a stunning lagoon, the Curonian Spit is the most famous natural attraction in this respect and worthy of such a lofty reputation. Simply put, this dune spit is central to the most awe-inspiring region and the solitude along this coastline is a striking contrast to the bustling cities nearby. Lithuania may not be best known for fine dining, but the local cuisine never fails to impress with a wide range of truly wholesome food. Cepelinai is arguably the most popular of these dishes, a potato dumpling with a very distinct aroma. That being said, you should find a character in a traditional rye bread called Ruginė duona, mouthwatering flavor in Zrazai beef rolls and delicacy in boletus, known as the “King of Mushrooms” in Lithuania. Similarly, the refreshments and beer are quite distinct in this part of the world. Traditional beverages in Lithuania include gira and kisielius, refreshing juices made from rye bread and cranberry while small breweries such as Perevicius have been concocting live ale for more than one thousand years. Either way, the local food in Lithuania is often a highlight for travelers while the refreshing drinks are never far behind. While Lithuania is famous for bread and beer, the national pastime is arguably one of the most interesting aspects of local culture and Baltic travel. After all, several Lithuanians have been inducted into the NBA Hall of Fame as this fast-moving sport continues to grow throughout the nation. That being said, the cities and rural regions are often the genuine highlights of Baltic tours for most visitors. Gediminas Castle – This striking castle was built in the 10th century as a major defensive structure for the city. St Peter & St Pauls Church – It is the centerpiece of a former monastery complex of the Canons Regular of the Lateran. The Gate of Dawn – Iconic chapel which is beautifully preserved and home to the famous St. Mary’s Chapel. Curonian Spit National Park – Stunning national park consisting of beautiful dunes next to a shimmering Curonian Lagoon. Trakai Island – Located on Lake Galvė, this beautiful island features an enchanting castle which offers an immersive experience far from the bustling towns and cities in Lithuania. Baltic travel is slightly more challenging than the rest of Europe, but when it comes to accommodation, there are many excellent places to stay in Vilnius in particular. Jamaika Hostel (Budget Option) – Located in the heart of the old town, this is a friendly and clean hostel which offers affordable prices for budget-conscious travelers. 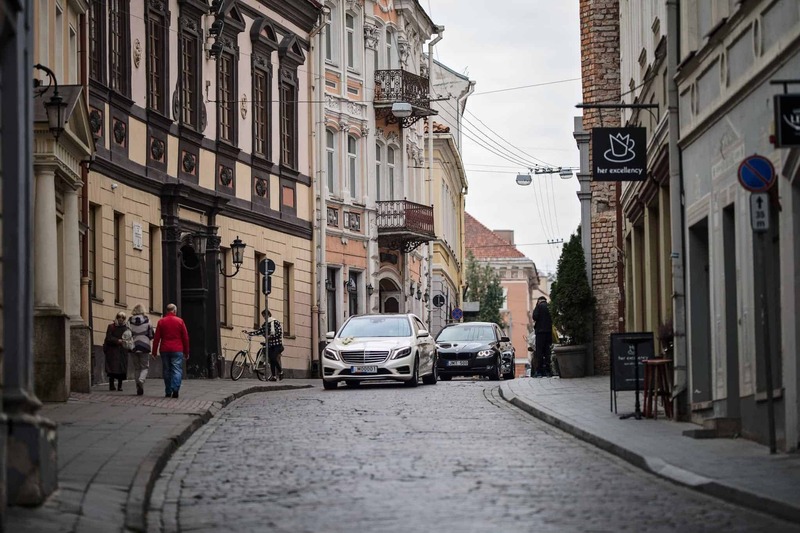 Old Town Stay (Mid-range Option) – Situated in the center of Vilnius, this traditional guesthouse is cozy and offers a convenient base from which to explore the old town. Novotel Vilnius (Luxury Option) – As with any Novotel, you can expect luxury at every turn in this hotel and a perfect location in the old town. However, you should also expect to pay a premium for such extravagance. Walking is certainly the best way to explore the backstreets and landmarks of historical towns in Lithuania. However, it must be said that taking a city tour is the best way to understand the local culture and uncover the rich history behind each landmark. In this way, you can also marvel at the beautiful Renaissance, Gothic and Baroque facades without having to self-navigate between these attractions. Furthermore, there are no “fast” or direct trains between the Baltic countries which can result in a rather frustrating travel experience with numerous stops and frequent delays. For this reason, most travelers opt for Baltic tours as traveling by bus ensures a smooth transition and no time wasted in between each destination. 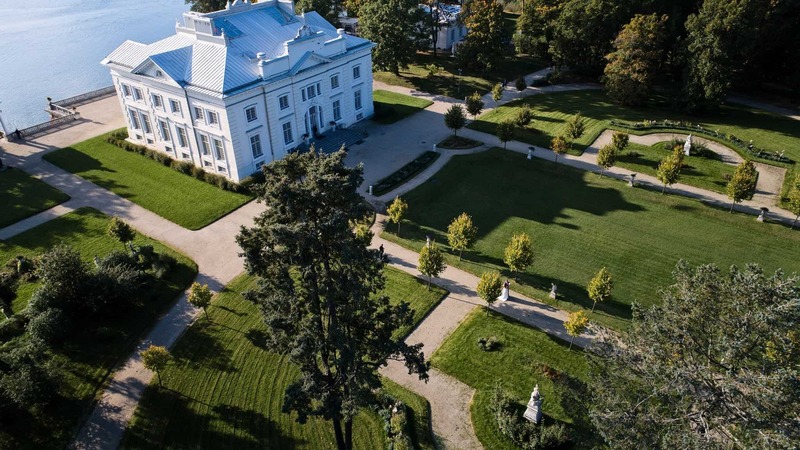 From popular attractions such as Rundale Palace, Hill of Crosses and Curonian Spit National Park; these small group tours offer a convenient way to discover the most iconic attractions in Lithuania, far from the tourist crowds and without the frustration that can come with navigating between the many attractions.